Hikers traversing the world famous Overland Track between Cradle Mountain and Lake St Clair in western Tasmania occasionally find themselves wandering from alpine scrubland into forests of towering King Billy Pines. 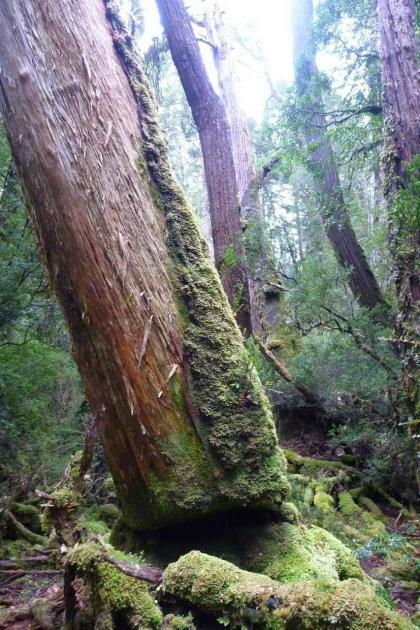 Found only in Tasmania, these conifer trees, named for Tasmanian Aboriginal William Lanne (known as King Billy), can live for more than 1000 years, and their wood contains an environmental history of every one of those years. After eight years of sampling, measuring, cross-referencing and computer matching, an international research team has built a 1700-year King Billy Pine tree ring chronology. It is only the second Australian tree-ring chronology to exceed 1200 years, and it is the first published King Billy Pine chronology to exceed 1000 years. They also produced reconstructions of historic streamflows in western Tasmania from hundreds of years ago and are working on reconstructing historic temperatures. The streamflow reconstructions will help us to better understand the natural variability in water resource availability over time. Tasmanian water managers will, for example, be able to use these long reconstructions to test just how unusual the dry winter period between 2015 to autumn 2016 was, and whether the floods and heavy rain in the winter and spring of 2016 were unprecedented. These studies collectively help to build a clearer picture of our climate history, stretching back over the last millennium and beyond. In particular, they are allowing researchers to put current changes into a longer-term context. 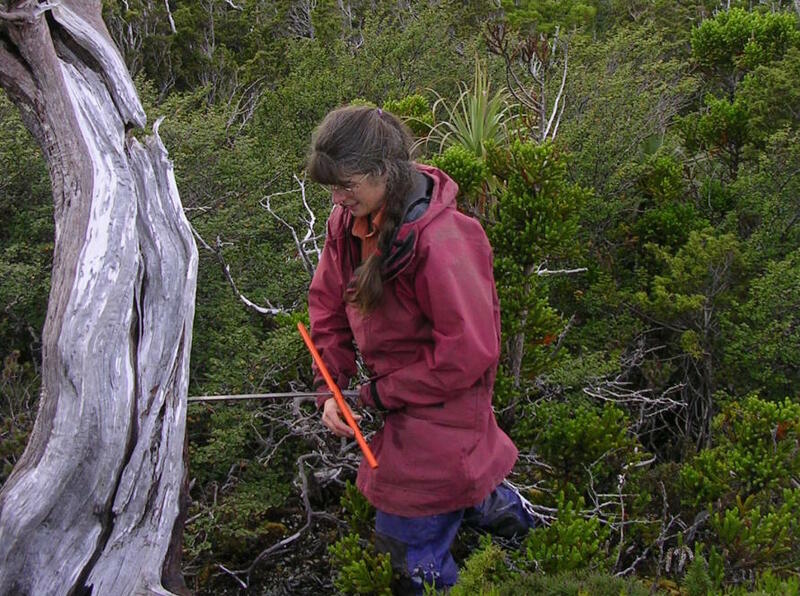 To build the 1700-year Cradle Mountain chronology, published in the journal Dendrochronologia, the team of researchers from Australia, the U.S. and New Zealand, collected over 200 core samples from both living and dead trees from Weindorfers Forest and Mount Kate, near Cradle Mountain in the Tasmanian Wilderness World Heritage Area. Using a hand-held increment corer, the researchers extracted samples that were thinner than a drinking straw. They were taken to a laboratory where they were dried and rubbed down with sandpaper so that the annual rings stood out clearly – even cellular details were visible. Lead author Dr Kathy Allen, from the School of Ecosystem and Forest Sciences at the University of Melbourne, says these rings contain much more information than just the age of the tree. 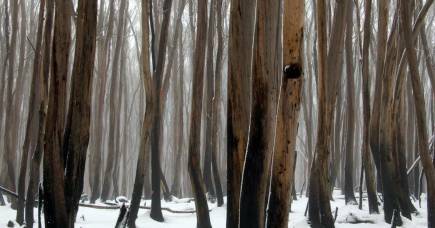 “Details like the thickness of a tree-ring, the density of the wood and the morphology of cells, can give insights into temperatures, water availability and major disturbances like bushfires,” she says. To build a coherent chronology from the many cores they collected, researchers used a technique called cross-dating, in which a long series of ring width patterns are matched across the site. This is first done visually, after which the rings are measured under a microscope using a sliding measurement scale attached to a computer. The final stage involves the use of statistical methods, such as correlation-based techniques, to confirm the chronological age of the samples. As long as the researchers could keep finding cores that overlapped in time, they could continue to build longer and longer chronologies. One of the keys to this cross-dating is what are called pointer years. Pointer rings are identified as years for which a large proportion of samples across the site have a very wide or a very narrow ring that typically reflect the impact of either very severe or very benign conditions over the growing season, e.g. low temperatures, drought or heavy rainfall. By identifying these pointer years across many of the trees at the site, a ‘site pattern’ is built that helps with the cross-dating process. “For instance, in 1912, the trees laid down a very narrow ring because of cool conditions,” says Dr Allen. They found wood from trees that had died around the late 800s AD, with some having end dates earlier than that. The researchers compared their King Billy Pine chronology to a 3600-year tree-ring chronology of fire-sensitive Huon Pine trees from nearby Mount Read. Based on the composition of the Mount Read chronology, it is apparent that many trees were established after 1150 AD, suggesting good conditions for establishment at that time, such as an absence of fire. In contrast, the much more consistent establishment pattern at Cradle Mountain is consistent with an absence of intense fires for the entire 1700 year record. Dr Allen says this shows the importance of collecting and comparing multiple data sets to get a more complete picture of the role fire, or climate parameters like temperature and rainfall, have played in the landscape over long periods. “The chronology is one piece of a big jigsaw puzzle that is building a record of past environmental conditions,” she says. 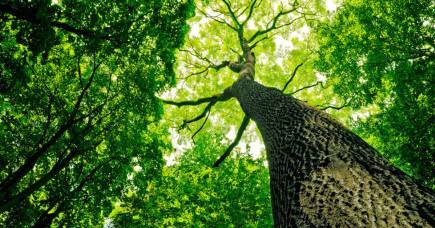 The research into tree chronologies gives a longer term perspective into climate and temperature records that can help understand current climatic patterns. “If we understand what climate was like in the past and how this affected the environment, it can provide some important clues as to what we might expect to happen as the climate continues to change into the future,” Dr Allen says. This study was part of an Australian Research Council funded project. It’s strong, thick and protective – but why is bark brown instead of green? Trump + Twitter: Unfettered honesty or unchecked vitriol? America’s next President uses 140 characters to set policy, but also malign his opponents. Whether he’ll be reined in is anyone’s guess.